This includes a temporary exemption for a transitional period of 21 months following ‘exit day’ of the UK, under the circumstances that where on the day before exit day, the EU QPPV resides and operates from another EEA member state. PSUR reporting direct to the licensing authority (i.e. MHRA) reintroduced – i.e where previously harmonised single assessment to the EMA was required. The legislation also requires the MHRA to publish a list of reference dates, submission dates and frequency for UK licensed products with the same active substance or combination of active substances. The draft contingency legislation also includes substantial changes to the handling of safety concerns and urgent actions and how MAHs and the MHRA will cooperate directly in such matters. Scope for the MHRA to reintroduce its black triangle “▼” scheme for additional monitoring of certain products which was superseded by the EMA’s additional monitoring black triangle scheme back in 2012. Additionally, there is provision for the MHRA to introduce a national medicines web-portal for maintaining product information, which (we speculate) could be something akin to the EMAs article 57a database. Under a new schedule (12A) to Regulation 205A, which provides “further provision as to the performance of pharmacovigilance activities”, there is the requirement to have in place one or more PSMFs by the MAH covering all the products licensed by the MAH. The format appears to mirror that of the EEA PSMF as specified under the EMA’s Guideline on |Good Pharmacovigilance Practices (GVP) Module II: Pharmacovigilance System Master File. Regarding the location of this PSMF, the draft legislation states that the PSMF must be located in, or accessible electronically from, the United Kingdom and permanently accessible to the UK QPPV. This implies a PSMF fulfilling EU requirements and located in the EEA may be acceptable so long as it is electronically accessible from the UK; is at the permanent disposal of the UK QPPV; and covers the products licensed in the UK, but this may need further clarification from the MHRA. However, it is important to note that a change in QPPV details or PSMF location would now require a minor (Type IA) variation to the UK Marketing Authorisation (MA). This new schedule also includes requirements for the MAHs and the MHRA for quality systems and performance monitoring, collection and reporting of suspected adverse reactions, risk management plans (RMPs), PSURs and Post-Authorisation Safety Studies (PASS) with board alignment to relevant modules in the EU’s GVP. The UK’s current regulatory framework for clinical trials as per 'The Medicines for Human Use (Clinical Trials) Regulations (2004)' would remain in force after a no-deal exit of the UK from the EU. The new EU Clinical Trials Regulation (CTR) 536/2014 will not come into force. Hence, it will not be incorporated into UK law on exit day. The sponsor’s responsibility of reporting Suspected Unexpected Serious Adverse Reactions (SUSARs) arising in the UK to the competent authorities of other EEA member states has been removed from the regulation. The sponsor’s obligations to report UK SUSARs to the competent authorities of other EEA member states , by entering the report or information in the European database established in accordance with Article 11 of the Directive [i.e. EudraVigilance Clinical Trials Modules (EVCTM)] has been removed from the regulation . If a clinical trial is conducted in a third country in addition to the UK, the sponsor shall ensure that all SUSARs occurring at that site are reported as soon as possible to the licensing authority. Pre-existing requirements for SUSAR reporting stand, i.e. for fatal or life-threatening SUSARs, these should be reported within 7 days or in any other case, within 15 days beginning with the day after the sponsor is first aware of the reaction. The DSUR reporting year and definition of the data lock point anniversary for investigational medicinal products (IMPs) has been amended such that this is now the development international birth date (DIBD) rather than being based on the first clinical trial authorisation for that IMP in any EEA member state. Amendment to the documentation requirements for the trial master file (TMF). the format and contents of a request for authorisation of a clinical trial, as well as the supporting documentation, on the quality and manufacture of the investigational medicinal product, any toxicological and pharmacological tests, the protocol and clinical information on the investigational medicinal product including the investigator’s brochure. For a period of two years following ‘exit day’, the sponsor of a clinical trial, or their legal representative may continue to be located in an EEA member state. This implies that after this transitional period, the sponsor, or a legal representative of the sponsor must then be based in the UK in order to conduct clinical trials in the UK. It is not clear in the legislation how this would impact on-going clinical trials interestingly. There are also transitional status quo arrangements in place for the import of IMP and marketed products used in UK clinical trials from EEA states. The draft ‘contingency’ legislation will include the amends for 'The Medical Devices Regulations 2002' (“the 2002 Regulations”). 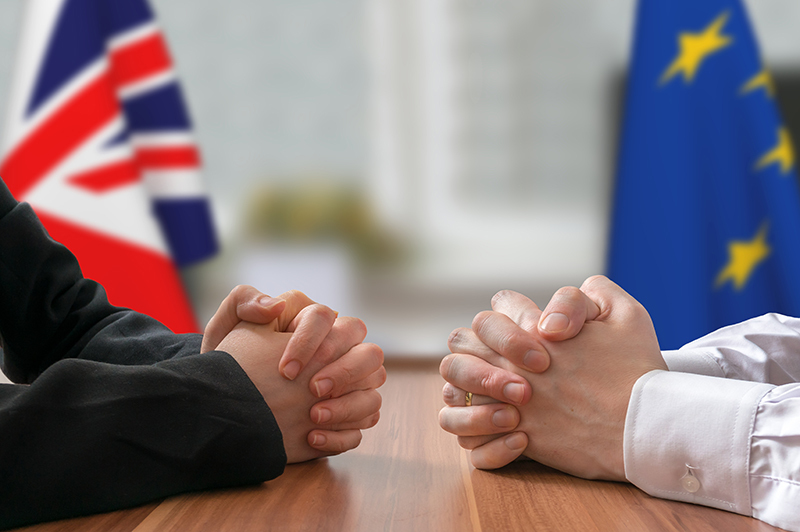 This draft guidance, subject to Parliamentary approval, is designed to come in to force following the UK’s exit from the EU should the UK, leave without a negotiated deal and transitionary period, a so-called ‘no-deal BREXIT’. Provision of a UK Unique Device Identifier (UDI) labelling system and database for UK devices. Adherence to this system by UK device manufacturers will come into force on 26 May 2020 or 26 May 2022 depending on the category/type of device. In Vitro Diagnostics Directive (IVDD) 98/79/EC. PART 2 and PART 3 incorporate the provisions outlined in the two new EU Regulations: EU 2017/745 ‘Medical Devices Regulation (MDR)’ and EU 2017/746 ‘In Vitro Diagnostics Regulation (IVDR), which have replaced the three former EU Directives (see below for further details). PART 4 contains new “schedules” to the 2002 Regulations, in accordance with those outlined in the two MDR and IVDR. There are 27 schedules in total which provide detailed guidance. It should be noted that devices intended to administer medicinal products are governed by the Human Medicines Regulations 2012 (also amended as draft Regulations 2019). The requirement for a UK Unique Device Identifier (UDI) system and database appears to be aligned with the general principles and requirements for an EEA-wide UDI system as laid out in Regulation (EU) 2017/745. The UK Responsible Person is appointed by the manufacturer of a device manufactured outside of the UK and acts on their behalf to ensure that the manufacturer is meeting the obligations outlined in the Regulations. They are reportable to the Secretary of State in the UK. They must ensure that the manufacturer is immediately informed of any complaints/reports of suspected incidents related to the device that they are responsible for. The source of these reports can be from health care professionals, patients or users of devices. They cooperate directly with the Secretary of State to implement and oversee any Corrective and Preventative Actions (CAPAs) taken to eliminate or mitigate risks, including known and potential and newly identified risks. Part 2 (Part VIII) covers the legislative requirements for Medical Devices Regulation (revoking Regulation (EU) 2017/745). It outlines the key obligations for manufacturers of medical devices (including active implantable medical devices) for human use. In scope for Part VIII are medical devices for human use including accessories to the device and clinical investigations of devices including accessories. Out of scope for Part VIII are in vitro medical devices, medicinal products and Advanced Therapy Medicinal Products (ATMPs) as defined in the Human Medicines Regulation (2012). The manufacturer of the device must ensure that there is a post-market medical device surveillance system in place that is appropriate to the risk class and type of the device. This system should be an integral part of the manufacturer’s quality management system (QMS) for the device. It must be suitably robust to ensure that the gathering, recording and analysing of data in relation to the quality, safety and performance of the device is sufficient to allow continual evaluation, throughout the life-cycle of the device, to demonstrate a favourable benefit-risk ratio. The post-market surveillance system must be based on the post-market plan outlined in Schedule 5 of the Regulation. A post-market surveillance report is required for manufacturers of Class I devices that summarises any post-market surveillance data. Trend reporting – the manufacturer must report statistically significant increases in the frequency and/or severity of non-serious and/or expected, clearly documented undesirable effects that could impact on the benefit-risk ratio of the device throughout the life-cycle of the device. This may include incidents that have led or potentially could lead to risks to patients, users and others that may outweigh the intended benefits of the device. These need not be reported as single case reports. Manufacturers must perform ongoing post market clinical follow up (PCMF), outlined in Schedule 14 of the Regulation, throughout the life-cycle of the device (when used for its intended purpose). Any serious incident with an established or suspected causal relationship with the device within 15 days of awareness. Any event of death or unanticipated deterioration in a person’s state of health with an established or suspected causal relationship with the device within 10 days of awareness. Any serious public health threat not later than 2 days after the manufacturer becomes aware of the threat. It is expected that in the event of any missing relevant information, the manufacturer will follow up to obtain this and submit a follow up report. Similar serious incidents that have occurred with the same device or device type for which the root cause has been identified and/or previous field safety corrective action has been implemented are subject to periodic reporting and need not be reported as single case reports. If the incident is clearly documented and common it can be discussed in periodic reports. Manufacturers must also report any field safety corrective actions taken for marketed devices, including any undertaken by third countries where the device is marketed. Manufacturers of Class IIa devices must update the PSUR as required but at least every two years. For custom-made devices, the PSUR forms part of the technical documentation (outlined in Schedules 4 and 5). The PSUR should be made available to the Notified Body involved in the conformity assessment. Clinical Investigations of medical devices must have Ethics approval and be conducted in accordance with Good Clinical Practice (GCP) requirements. A Clinical Investigation Plan (CIP) must include a description of the rationale, objectives, design, methodology, conduct, record-keeping and methods of analysis of the final data. If the sponsor of the clinical investigation is not established in the UK, they must ensure that there is a legal representative established in the UK. The CIP must provide safety reporting processes for the collection of Adverse Events (AEs) and Serious Adverse Events (SAEs) and device deficiencies, including definitions and timelines for reporting. The Sponsor of the clinical investigation must have processes in place to ensure that any SAEs are reported by the investigator to the sponsor and that processes are in place to allow follow up of subjects enrolled in a clinical investigation. The sponsor must submit a Clinical Investigation Report within 1 year of the end of the investigation. Part 3 (Part IX) covers the legislative requirements for Medical Devices Regulation (revoking Regulation (EU) 2017/746). It outlines the key obligations for manufacturers of in vitro medical devices for human use. In scope for Part IX are in vitro medical devices for human use including accessories to the device and clinical performance studies for in vitro medical devices. The manufacturer of the device must ensure that there is a post-market surveillance system in place that is appropriate to the risk class and type of the device. The post-market surveillance system must be based on the post-market plan outlined in Schedule 19 of the Regulation. A post-market surveillance report is required for manufacturers of Class A and B devices that summarises any post-market surveillance data. Trend reporting – the manufacturer must report statistically significant increases in the frequency and/or severity of non-serious and/or expected clearly documented undesirable effects that could impact on the benefit-risk ratio of the device throughout the life-cycle of the device. This may include incidents that have led or potentially could lead to risks to patients, users and others that may outweigh the intended benefits of the device. These need not be reported as single case reports. Manufacturers must perform ongoing post market performance follow up (PCPF), outlined in Schedule 27 of the Regulation, throughout the life-cycle of the device (when used for its intended purpose). Clinical performance studies of medical devices must have Ethics approval and must meet the requirements outlined in Schedule 17, 27 and 28. They must be conducted in accordance with a clinical performance study plan (CPSP). The must provide safety reporting processes for the collection of Adverse Events (AEs) and Serious Adverse Events (SAEs) and device deficiencies, including definitions and timelines for reporting. The sponsor must submit a Performance Study Report within 1 year of the end of the investigation. 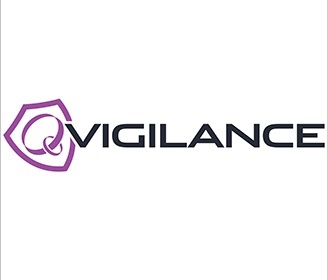 QVigilance has a team of scientific and Pharmacovigilance consultants with broad experience in all areas of PV. As a result, we can provide guidance and support (including drafting and/or review) in the development/update of Standard Operating Procedures (SOPs)/working practices supporting Pharmacovigilance activities where these are undertaken within your organisation.